Note: Although this is not a Disney related project, I have posted it here due to the large number of site followers. I told the casting director that I would help get the word out about this open casting call. Update 7-26-2013: Now that the open casting call has taken place, the casting director is accepting email submissions for Chicago area extras. Details below. After Chicago, the next extras open casting calls will be in China. Paramount Pictures has teamed with China Movie Channel for a reality show that will cast China talent for principal acting roles. One of China’s most well-known pop idols, Han Geng, has already signed on for a major role. Di Bonaventura Pictures and DreamWorks SKG in association with Hasbro are filming the Paramount Pictures science fiction action film “Transformers 4”, and the casting director has scheduled open casting calls in Chicago for people interested in working on the film as fully paid general extras and possible featured background actors. The open casting calls are for people over 18 years of age, however parents/legal guardians can bring photos on their children for submission. Chicago filming will take place from August 18, 2013 through September 27, 2013. As humanity picks up the pieces, following the conclusion of ‘Transformers: Dark of the Moon,’ Autobots and Decepticons have all but vanished from the face of the planet. However, a group of powerful, ingenious businessman and scientists attempt to learn from past Transformer incursions and push the boundaries of technology beyond what they can control – all while an ancient, powerful Transformer menace sets Earth in his crosshairs. The epic adventure and battle between good and evil, freedom and enslavement ensues. Directors Guild of America DGA Award winner Michael Bay has returned to direct his fourth installment of the film series from a screenplay written by Ehren Kruger, who also wrote “Transformers: Revenge of the Fallen” and “Transformers: Dark of the Moon”. Bay has said that this will be his final installment in the franchise, however Hasbro has stated that they would like to continue making additional Transformers films with or without Michael Bay. Writer Ehren Kruger’s other credits include “Arlington Road,” “Scream 3 & 4,” “The Ring,” “The Skeleton Key,” and “The Brothers Grimm”. Three-time Academy Award winner Steven Spielberg is again executive producing, along with Mark Vahradian for Di Bonaventura Pictures, and Brian Goldner for Hasbro. Producers are Lorenzo di Bonaventura, Don Murphy, Tom DeSanto, and Academy Award nominee Ian Bryce. Spielberg and Bryce have collaborated on other films including “Saving Private Ryan,” for which they both won Golden Globe Awards. Bryce also worked as assistant director on the Spielberg directed film “Indiana Jones and the Temple of Doom”, and production manager on Spielberg’s “Indiana Jones and the Last Crusade”. More recently Bryce and Michael Bay both produced the Paramount Pictures feature film “Pain & Gain”, on which Bay also directed. This extras open casting call is for people LOCAL to the greater Chicago area. I do NOT recommend flying in for this casting call. The director Michael Bay often hand picks extras talent from the photos taken at the open call, and that is why Paramount Pictures has hired this particular casting director. 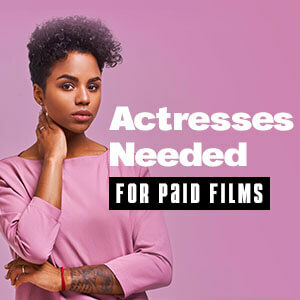 She ONLY wants to see people who are available to work in the locations that she is casting. All extras MUST provide their own transportation and accommodations. • Males and Females, 18 years of age and older. • Clean cut FBI types and Military types. • Age 9 and over Asian Citizens for Hong Kong scene. Free parking is available in the NE lot. Please come dressed appropriately and bring a pen for application. Your photo will be taken at no charge, headshots/resumes are NOT needed. Name, cell, height, age range, clothes sizes, any scheduling restrictions you may have & any other notes you’d like to add! Casting call information courtesy of Maryellen Aviano, Paramount Pictures Casting Coordinator. All talent including minors and foreign actors must be legally eligible to work in the state of Illinois and in the United States. Submit photos and resumes by mail only. Optimus Prime (Peter Cullen) returns with a new group of robot characters, and new male and female leads in “Transformers 4”. The story will take off where the last film left off in Chicago, and expand on the history of the first three films in the series.